Choosing the right broadhead to match your equipment and abilities may make the difference in your hunt. Any archer that has been around longer than a few years understands that the accuracy of his or her shot can be seriously affected by using the wrong broadhead with the bow and arrow being used, especially if not properly tuned. 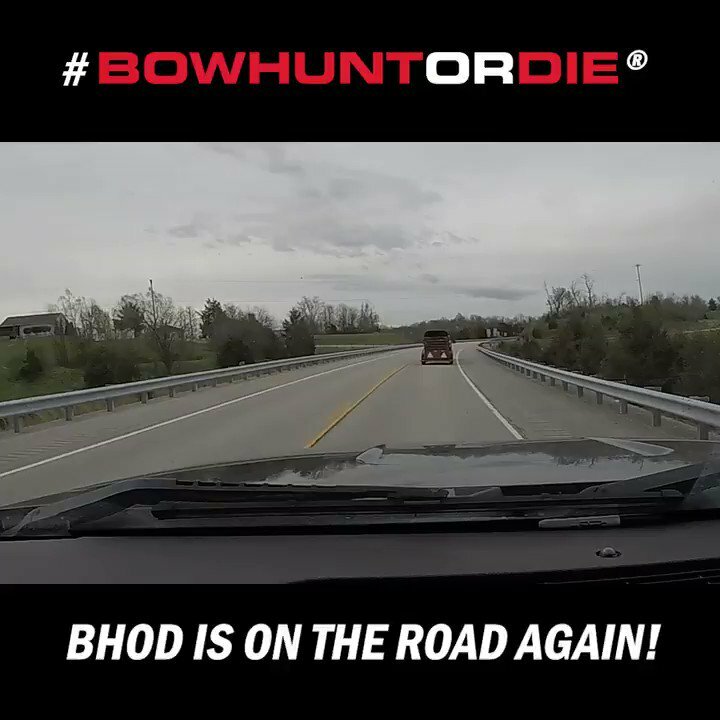 Now with the tidal wave of popularity flooding the hunting scene with crossbows, are there new parameters that must be considered when heading into the field to hunt with a horizontal bow? As with vertical archery equipment, there are some key issues to be taken into consideration when choosing the proper broadhead to match up with your crossbow and arrows. Excalibur’s boltcutter is one of the new increasingly popular 150 grain broadheads. The Grim Reaper Razor tip is a deadly favorite. If you are an experienced crossbow hunter that is capable of tuning your equipment to insure pinpoint accuracy, you do not have any worries. However, most crossbow hunters that I know are not even close to being expert enough to tune their own equipment and therefore should follow some very simple guidelines. When all else fails, use the KISS philosophy. The most foolproof and user-friendly broadheads for the novice crossbow hunter are the expandable type. Most all crossbows have enough kinetic energy to open any expandable broadhead as long as the shots are kept to the commonly accepted 40 yards or less. There is such a wide variety of expandable heads to choose from that I am not going to enter a discussion about which is the best or worst to use. Broadheads are like trucks in the sense that the best one is always the one that is being used by the person you are asking. That, of course, is because we know that everyone uses the best, right? Besides, the competition is so tough in the broadhead marketplace, that a broadhead would not be around very long if it did not do an adequate job. New Archery Products Crossfire made especially for crossbows. Throwing fixed bladed broadheads into the mix is going to double your long list of choices but caution should be shown with this type of head. Generally speaking, whatever broadhead you decide to use should be shot from your crossbow extensively to determine its accuracy. Fixed blades, more than expandables, need to be tuned or have sighting adjustments made when replacing your field tips with broadheads. The bigger and wider the blades, the more critical the tuning process because of the wing effect on the aerodynamics of arrow flight. There is an abundance of fixed bladed broadheads with 1” diameters that fly extremely well and very consistent from a crossbow. Moreover, as long as you are able to put your arrow exactly where you want it, a 1” hole will kill the largest of big game animals in the world. One of the most recent topics of discussion and research of broadheads from crossbows is the overall weight. Research has shown that a heavier broadhead (150 grains) delivers a more consistent arrow flight while inflicting maximum damage and penetration. Not everyone is prepared to sacrifice the speed that the extra weight steals, but the shocking power, extra accuracy and consistent arrow flight have many crossbow hunters opting for the heavier heads. Steel Force Phat Head, one of the most durable broadheads in the industry. Razor Shark 250 is a dependable match for the crossbow. Another thing to consider is the speed of your bow and the type of game you will be hunting with your set up. Bigger game requires better penetration, while on the smaller critters penetration is not as critical. Expandable heads require more energy to open and often do not get as much penetration as a fixed bladed broadhead. If you are in pursuit of the American Bison, a fixed bladed head would make more sense, especially if you used a heavier model. That would provide good solid thumping power, assuming that you are staying within the suggested forty-yard range. If you are after whitetail or pronghorn, then a hundred grain expandable would fill your needs just fine. If you are using a 225-pound draw weight crossbow, your arrow will probably be going a lot faster than if you are using a 150 pounder. You more than likely will have better results shooting an expandable blade with a faster crossbow, but if you prefer a fixed blade, you must make sure that you shoot plenty of shots into the target so that you know exactly how your arrow will fly. The Steel Force by Vision Quest comes with a lifetime guarantee. As with any archery weapon, there are some things that are standard that just cannot be taken for granted. Always make sure that your blades are as sharp as they can possibly be. Keep an arrow for practice, and once the hunting season begins, forget about field tips and only practice with your broadheads. Each time you make a shot with a hunting arrow, sharpen the blades before using it again. If a blade gets chips or dings in the cutting edge, replace it. If using retractable heads, after you use a broadhead retire it. If you still wish to use it, make sure the blades are straight, sharp and wash it thoroughly to remove all blood so that the blades do not stick the next time you use it. The bottom line in choosing a broadhead is to determine what your needs are for the game you are hunting, and the equipment you are using and then practice with those heads and keep them razor sharp at all times. Beyond that, it is just a matter of selecting a good product manufactured by a reliable company and the sticking with what works really well for you. I think that th crossbow is very cool and I wish I could have one so I could hunt with it. I would like to see more about crossbows. I have one because of a injury in the marine corp. I am wrestling with fixed of mechanical and what benefit you will recieve. Spitfires came with mine but not a very strong, looking at the grim reaper just not sure. Fixed is the exodus of slick trick. Do you have any more info about these blades or a different site to review. I had a hard time getting fixed broadheads to fly well out of my Tenpoint crossbow. I could get them adjusted for any single range, but I could see the flight was helical so at any other range they would be off. I have had real good luck with any of the Rage heads and I can usually re-build them to use several times, even if the blades get bent. I have a Profusion Crossbow, I would like to know what kind of broad head is recommended. I have an Excalibur Axiom. It is a great cross bow. It shots bolts at 305 feet per second. I also use Rage broad heads.125 grain and FOC of 9% which is a little low but the bolts fly straight and flat out to 50 yards. I am also thinking about adding a HHA dial scope mount so I can reach out to around 70-80 yards. I harvested my first 3 animals with an xbow last week, a 150lb. Doe plus 2 ferrel pigs. One weighed118lbs, the other 43lbs. I used a 4 bladed fixed broadhead. Two out of the 3 animals dropped stone dead within 20yds. The other took 3 bolts & 4 rounds from a .44 magnum to finally end it. It was super tough- charged me 5 times. All that said, none of the animals left much of a blood trail. I always thought and read that there would be a real trail. On the deer not on drop that I could see. The pigs very little. All shots went clean thrue. Am I mistaken on my facts or am I using the wrong type of broadheads? New to bow hunting, any help is appreciated. Thanks.